A toothache can be excruciating, but a troublesome wisdom tooth can be unbearable. 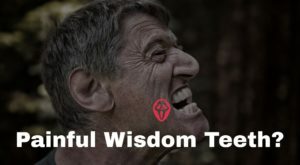 If you have ever suffered pain from your wisdom tooth, then you have always hoped to have a remedy as soon as possible, since that is the kind of pain you wouldn’t want to walk around with for a long time. It may sound ridiculous to use salt for tooth pain relief, but one of the remedies you have to your option to get some relief for your ailing wisdom tooth is to simply use warm salt water. It is a strategy recommended by dentists all over the world, and all you need to do is make a salt solution using warm water and use it to rinse the paining tooth several times for as long as you can stand the taste of the salt. If you do this every few hours, you will get some relief on the painting wisdom tooth. 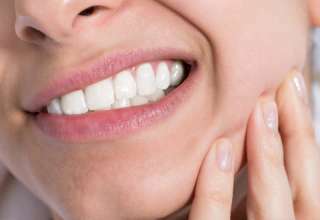 Numbing dental gels are designed to reduce sensations and pain in the gums and the tooth, and it is another remedy worth considering if you are looking for a good toothache pain reliever for your wisdom tooth. You can purchase the gels over the counter or order them online, but be sure that you get them from very reputable sources. 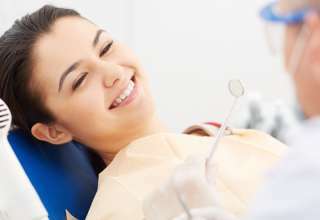 With the dental gels, all you have to do is apply them directly to the gum region with a problem, or to the wisdom tooth with infection for immediate pain relief. However, you must be aware that using the gels will always come with a set of instructions from the doctors, and such you must follow if you want to have a good result with them. The use of ibuprofen is another common home remedies for tooth pain and one you can find handy when the tooth start aching in the middle of the night when you can’t make a visit to the clinic. Such medications always work by helping to reduce the inflammation that may be causing pain on the affected tooth. They are ideal for use a temporary solution when the aches come suddenly, or as you wait to see a dentist. However, it is recommended that you rely on them completely as your go-to wisdom pain relief solution. Applying ice to the jaw with the problematic tooth has been used for decades to bring wisdom tooth pain relief, and this is another remedy you can consider when the tooth pains come calling. It is very simple since all you have to do is apply the ice pack on the jaw and hold it for a couple of minutes for the pain to go away. Depending on the severity of the pain, you can apply the ice pack on and off with twenty minutes break until the pain is gone. Tea contains substances known as tannins, and recent studies suggest that these substances are super effective in dealing with bacterial infections and inflammation. It is these properties that make them ideal for use in wisdom teeth pain relief. To use the tea bags on a painting tooth, all you have to do is make a normal cup of tea and then place it in the fridge with the tea bag left in it. Once it gets cold, take the cup out and put the tea bag on the tooth as teeth pain medicine. Be sure to not add milk, cream or sugar to the tea. These are known enemies of an ailing tooth and the will do more harm than good to your ailing tooth. Hopefully, the above options show you how you can deal with wisdom tooth pain relief at the comfort of your home. 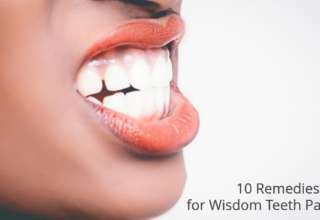 But if the pain persists, you should strongly consider finding out about wisdom teeth removal cost because ultimately, tooth extraction will always be the best remedy for paining wisdom tooth.